Many house spider bites are venomous and lethal. Knowing how to identify a spider bite can help protect you and your loved ones. You can only find some house spiders in particular areas, so eliminating them from the list of possible culprits can help you pinpoint which spider caused the particular bite. Some spider bites need medical attention, while some are not so serious. 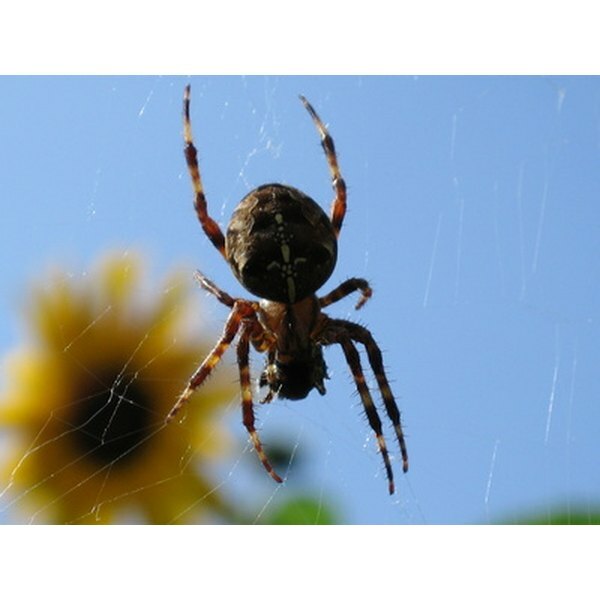 Learning to identify spiders, as well as spider bites, can keep you safe. You can find the brown recluse spider anywhere across the United States, but you will mainly find them inside homes in the southern states. This spider is deadly but not aggressive; it will only bite if it feels threatened. A spider bite from a brown recluse can cause cutaneous injury with tissue loss and necrosis. Some common symptoms of this bite include fever, chills, itching, going into shock, vomiting and restlessness. If infected, the area around the bite will be red, painful and hard. You can find hobo spiders in Washington, Oregon, Idaho, Montana, Wyoming, Utah and Colorado. They don't climb vertically very often, so it is more likely that you will find them on the first floor of homes or in the basement. This spider bite is serious and you should treat it immediately. It will eventually develop into a blister, which will pop after a day, causing an oozing ulceration; try to catch it before it reaches this stage. Common symptoms of this spider bite include nausea, weakness, fatigue, temporary memory loss and vision impairment. You can find the black house spider throughout the house in window frames, in brickwork or by toilets. It likes dry, secluded environments. The bite from this spider is poisonous but not deadly. The bite may become very painful. Other symptoms of this bite include heavy sweating, muscular pains, vomiting, headaches and giddiness. Seek medical attention promptly if you believe you have a black house spider bite. The huntsman spider is a non-aggressive, low-risk spider. You can often find it roaming across the walls inside homes. The bite will be red in coloration and can be quite large. It will be painful at first, but that will be the only side affect of the bite. These spiders are not particularly dangerous.